ROB born in 1987 Graduated from the University of Michigan and moved to Paris, France to take a position More…with Microsoft. PETER born 1994 and is in his senior year at the University of Rochester. He will graduate in May with a BA in mathematics and a minor in German. At the beginning of August, he will move to Seattle to take a job with Milliman in their actuarial department. JULIA born 1995 is a junior at the University of Michigan studying International Studies with a concentration in global health. Since leaving JDRHS, I graduated from college, married, moved to San Antonio Texas, taught middle and high school, then moved to NW Pa to raise my three children. Along the way I've raised lots of loving dogs as well. Turned my attention to creating paper/mixed media jewelry as my growing children need me less and less. Community and school activist through the years as well as a local campaigner for the Democratic Party. I will be returning to school in Feb. to study surgical technology. I'm learning it is never too late to start anew. Growing from a shrinking violet my freshman year to an outgoing senior who loved to be involved in all sorts of activities. VIRGINIA ALENSON Keim has a birthday today. VIRGINIA ALENSON Keim added a photo to her profile gallery. 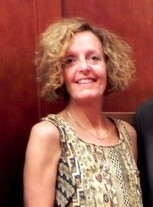 VIRGINIA ALENSON Keim updated her profile. View. VIRGINIA ALENSON Keim changed her profile picture. 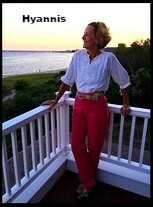 VIRGINIA ALENSON Keim changed her "Now" picture. My husband Tony after a "light snow" here at our home in the snowbelt on Lake Erie between Cleveland and Buffalo. My parents who left NJ for NH in 1977. The home in which I grew up on Grouse Lane in Mountainside. My current home in Edinboro, PA.